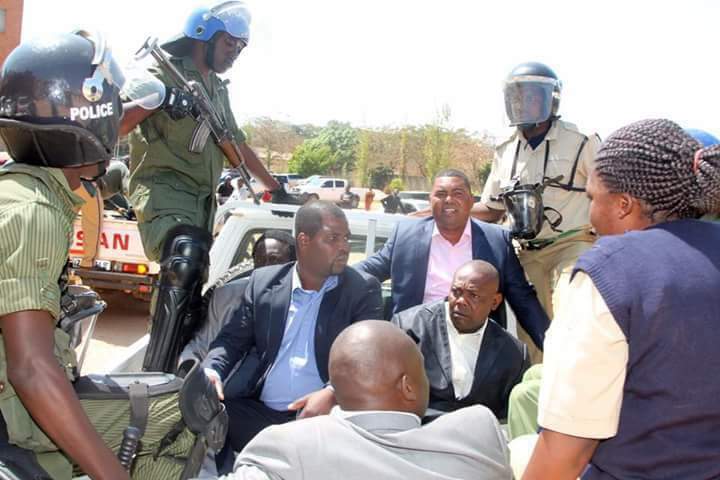 Police have arrestee a total of 16 people in connection with the recent exam leakages in Lusaka, Copperbelt, and southern province. In a sharp contrast to the narrative by some political hoodlums that are trying to politicise the leakages, the police have arrested teachers mostly from private school who are believed to have been behind the spillage. See below a statement issued by the Zambia police. LUSAKA, 1ST NOVEMBER, 2018 – Police in Lusaka, Copperbelt and Southern Provinces have so far arrested a total of 16 people in connection with the leaked 2018 grade 7, 9 and 12 examination papers. Among those arrested are teachers and pupils. In Lusaka Province, Police have arrested five people identified as Ishmael Manda aged 25 of John Leing Compound also a teacher at Islamic Orphanage Secondary School in Makeni who was found with copies of grade nine (9) Mathematics, English, Religious Education, Art and Design and Business Science Examination papers on his mobile phone, Christopher Sampa aged 43 who is Director at CS Christian Private School in Chipata Compound in Lusaka, Alphate Kabamba aged 29, a businessman of Kabanana Compound who was found with hard copies of Art and Design, Religious Education and Social Studies, Alphonso Milambo aged 40, a teacher at Ellensdale Primary School and Angela Mumba Mulenga who was in charge of the strong room at Ellensdale School in Ngwerere. Further investigations at Ellensdale Strong room revealed that Examination papers for Art and Design, Religious Education and Social Studies were tempered with. Investigations conducted on the Copperbelt led to the arrest of three people identified as Humphrey Kamfwa Tembo aged 33 who was found with grade nine Mathematics paper 1 and 2, Collins Solochi aged 25 who was found with Social studies Paper 1 and 2 and a paper for Business Studies and also Andrew Banda aged 22 who was found in possession of English paper 2 for grade 12 and a hard copy of answers for Mathematics paper. In Mazabuka of Southern Province, Police arrested Given Kanyeleti aged 24 of Nakambala Compound who was found photocopying a handwritten leaked Science paper 2 for grade 9. Further investigations led to the arrest of a grade nine pupil of Ndeke School aged 18 of Nakambala Compound. Others arrested in Mazabuka are two grade nine (9) pupils at Maneila Open Community School who were found with grade nine (9) Computer Studies paper 1 and 2, Integrated Science Practical and both paper 1 and 2, English Language papers paper 1 and 2 for grade nine and Social Studies Examination papers. The suspects have been charged with unauthorized possession of Examination paper or Information. Investigations conducted in Mazabuka further revealed that Examination paper packs at Namaila Primary School had been tempered with and copies of Mathematics paper two (2), Social studies and Chitonga were missing. Four teachers namely Augustine Musenga aged 46 who is a Head Teacher at Namaila Primary School, Hedson Machila aged 42, Simon Sikombe aged 40 and Oliver Hauma aged 42 all teachers at the above mentioned school were arrested and investigations in the matter have continued. Police have continued with investigations and members of the public will be updated on any new development.